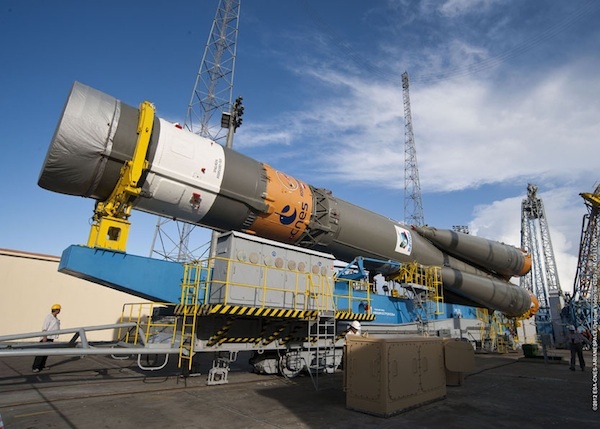 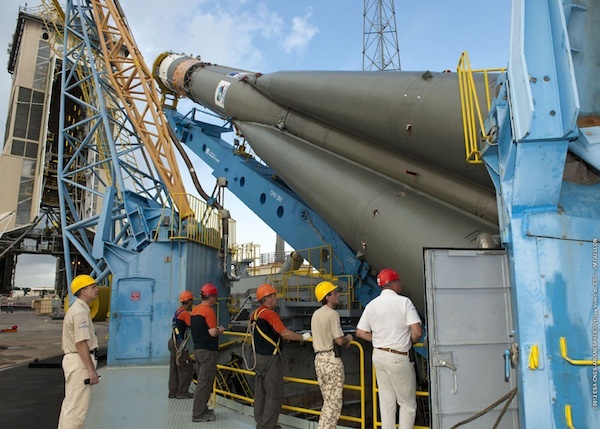 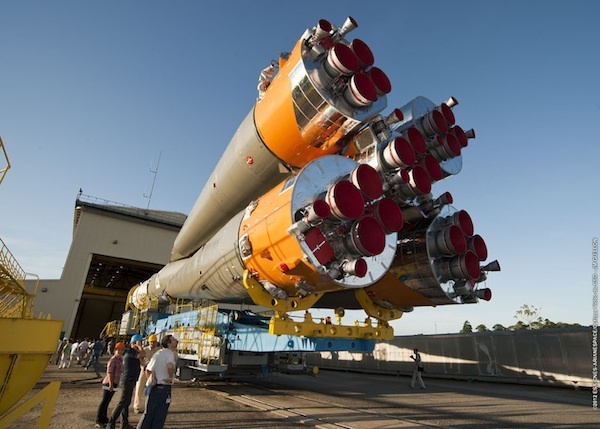 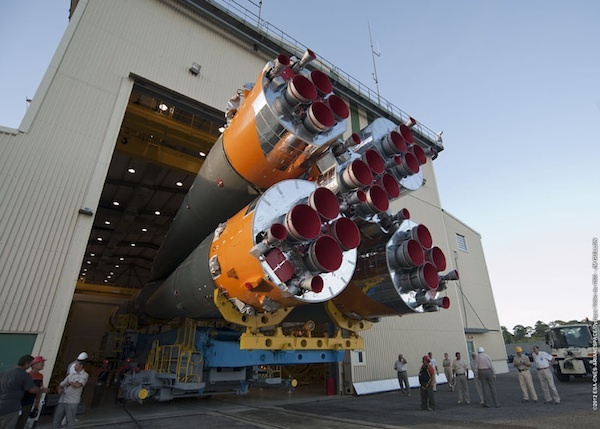 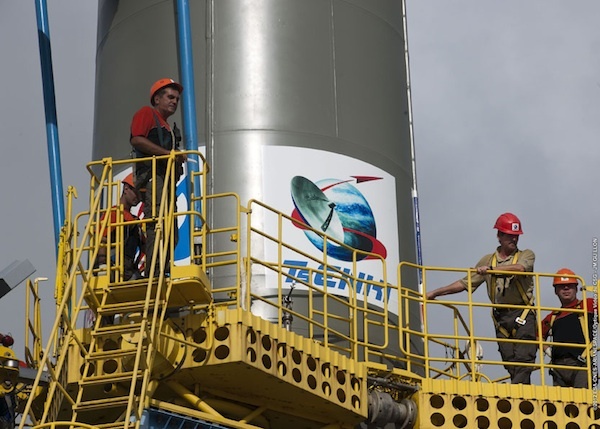 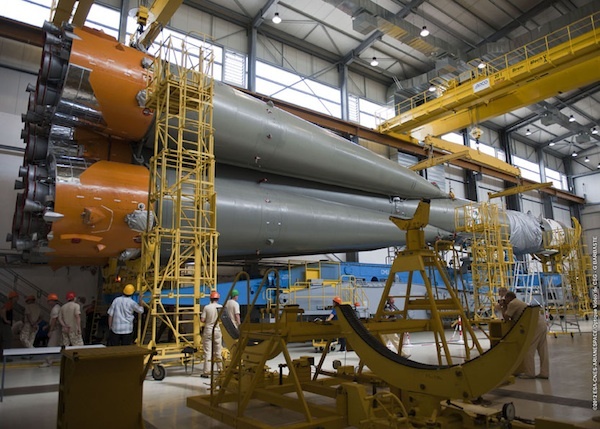 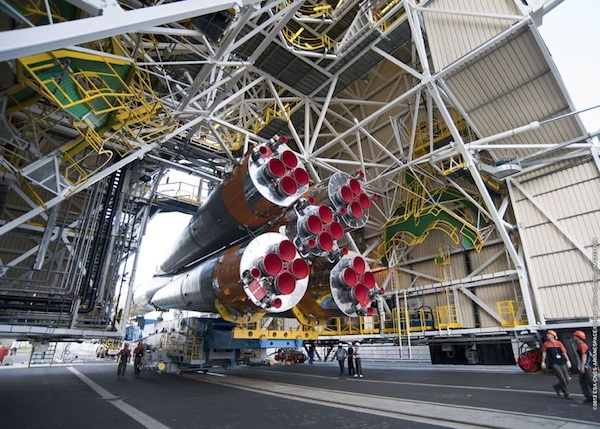 Russian engineers rolled a Soyuz rocket to the launch pad at the Guiana Space Center at 7:30 a.m. local time on Nov. 26 and hoisted the booster vertical on its launch mount. 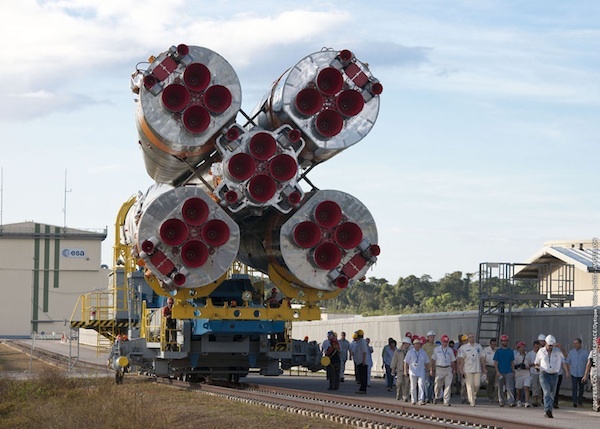 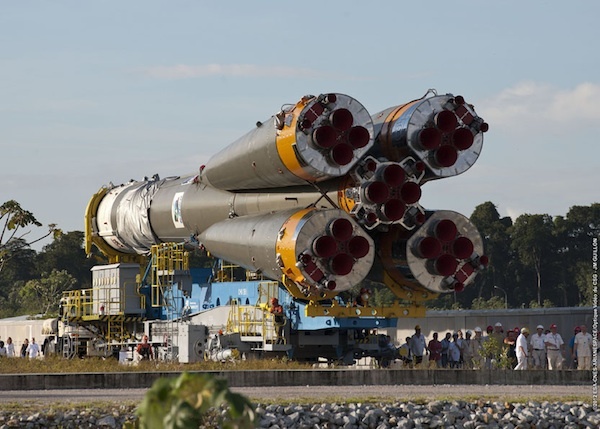 The Soyuz rocket rolled to the launch pad attached to a transporter-erector system riding on rail tracks. 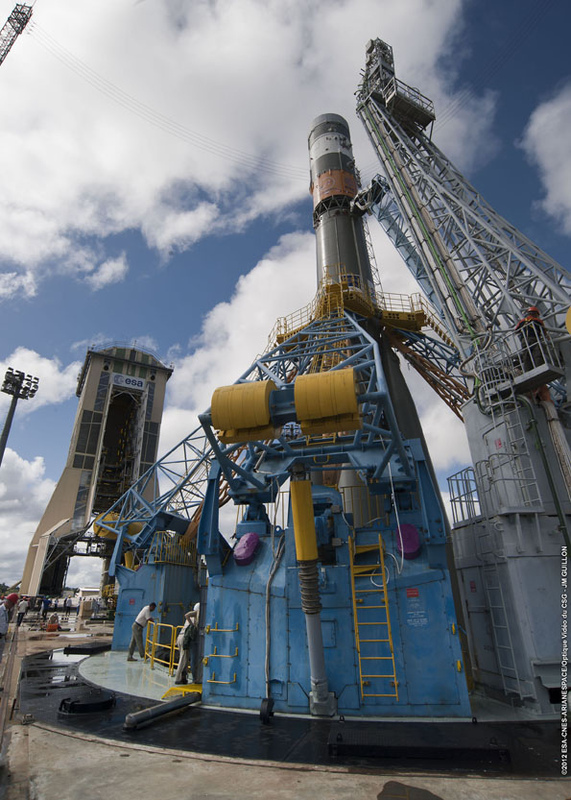 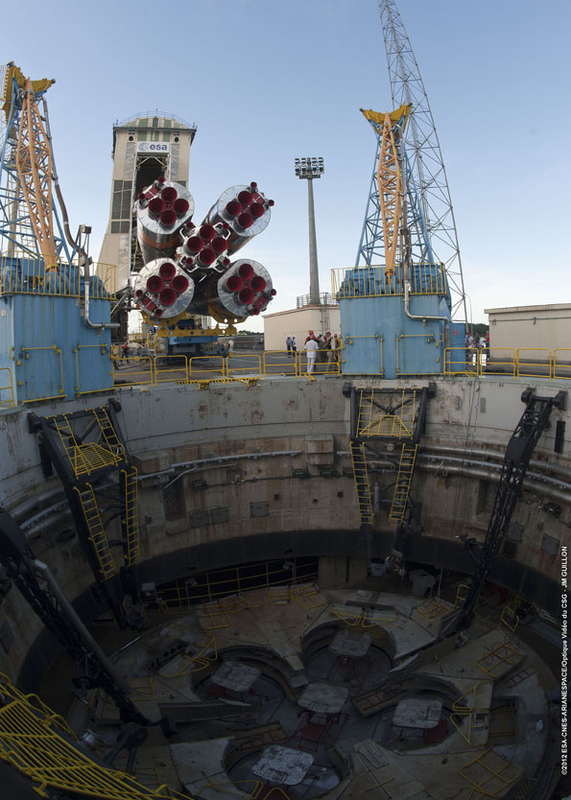 The fairing was lifted atop the Soyuz rocket inside the pad's mobile service tower on later on Nov. 26. 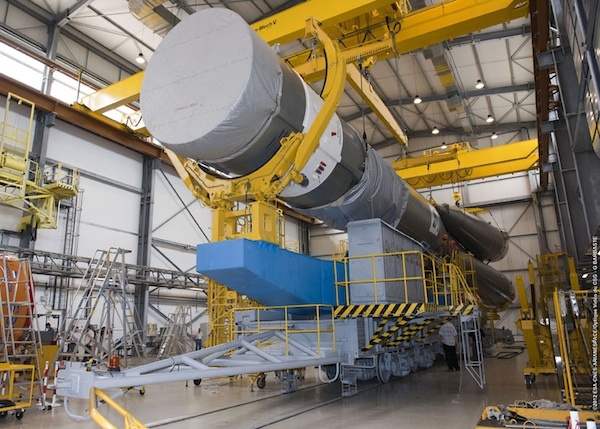 The nose shroud encloses the Pleiades 1B Earth observation satellite, a high-resolution imaging platform for the French space agency, the French military and Astrium Services. 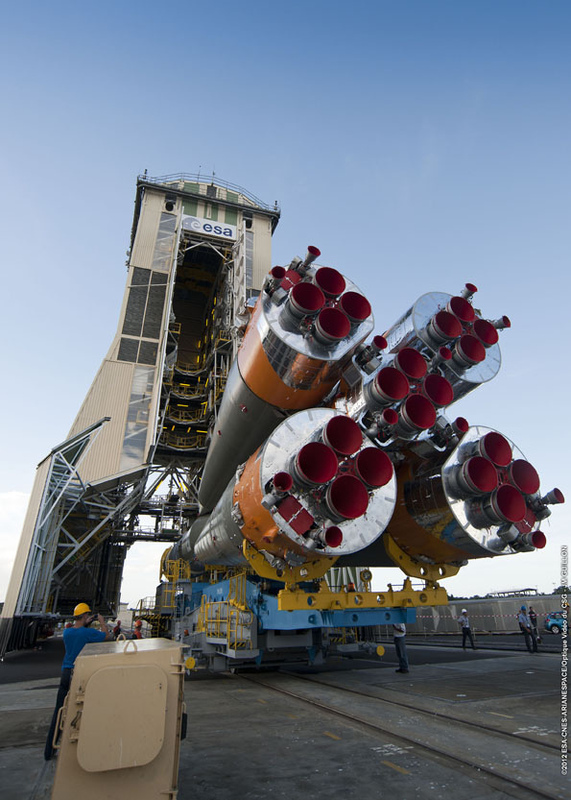 Liftoff is scheduled for Dec. 1 at 0202:50 GMT (9:02:50 p.m. EST; 11:02:50 p.m. local time on Nov. 30).